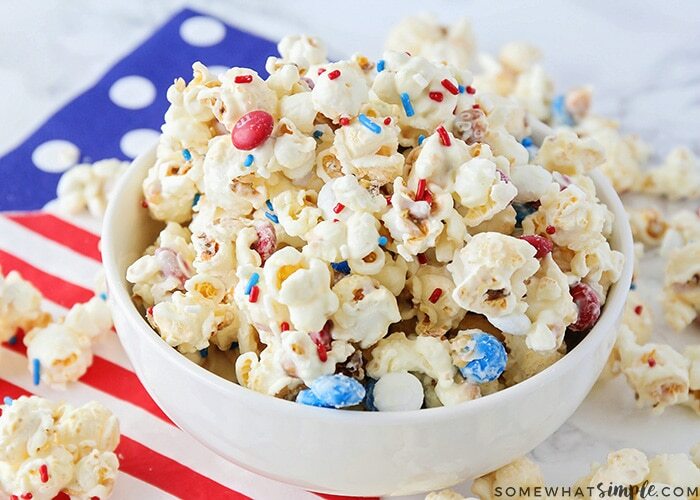 This patriotic popcorn is a simple white chocolate popcorn recipe packed with little bites of milk chocolatey goodness! Homemade popcorn is one of my favorite treats. 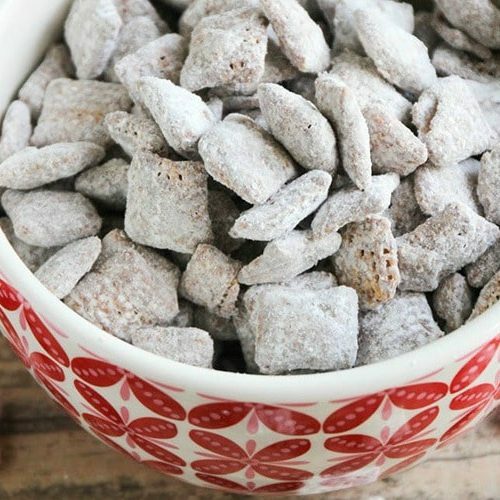 It is relatively low in calories and so delicious AND it doesn’t get any easier to make! 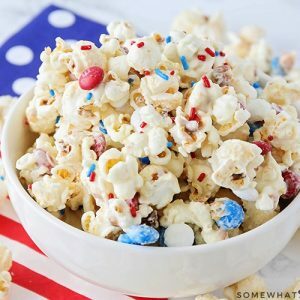 I’ve tried a ton of popcorn recipes, but this white chocolate version is one of my favorites! 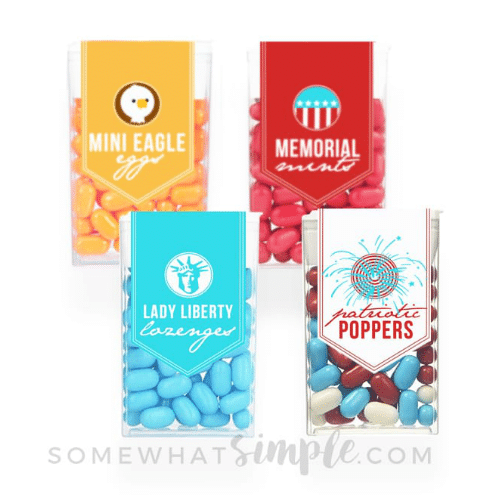 I used a patriotic bag of M&M’s which had red, white and blue candies, but you can use a regular bag and just pick out the ones you need if you can’t find the patriotic ones. (I’ve done this many times!) 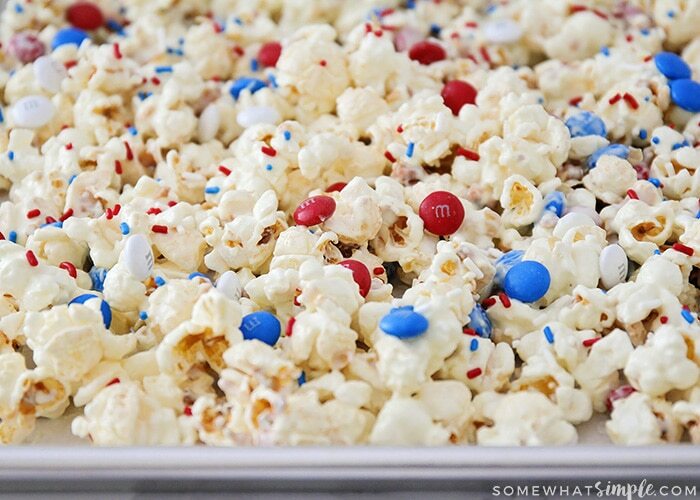 You can switch this popcorn recipe up for any holiday or celebration by adding different colors of M&M’s, but isn’t this patriotic popcorn so festive and cute? 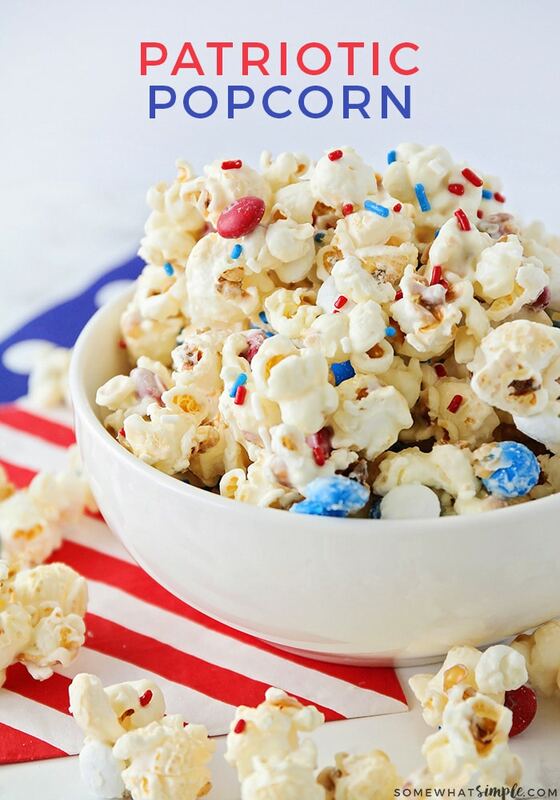 Enjoy this delicious patriotic treat this upcoming Fourth of July! It’s a great treat to take to a barbecue or firework viewing party. Anyway you have it, I promise you’ll love this tasty treat! Pop your popcorn kernels in the microwave or in an airpopper. Put your white chocolate chips in a medium sized bowl and microwave for 30 second increments until smooth and creamy, stirring every 30 seconds. 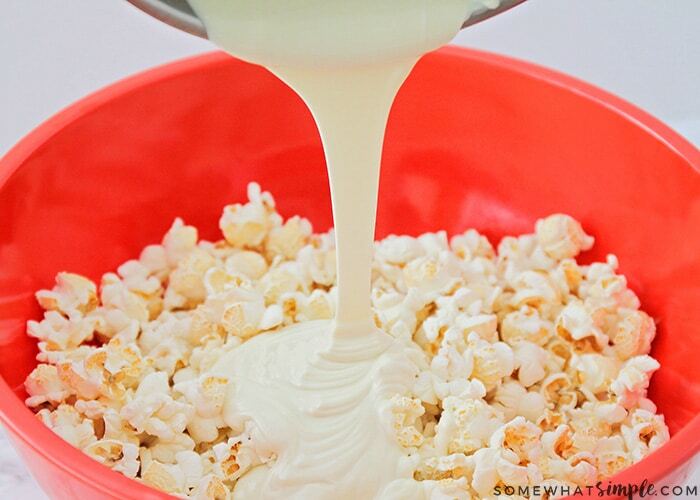 Pour melted white chocolate over popcorn in a large bowl and stir together to coat popcorn. Pour popcorn onto a cookie sheet, or counter top lined with parchment paper and allow popcorn to set until chocolate is hardened. ABOUT THE AUTHOR – Ellen and Aimee are the mother & daughter duo behind the blog Like Mother Like Daughter. 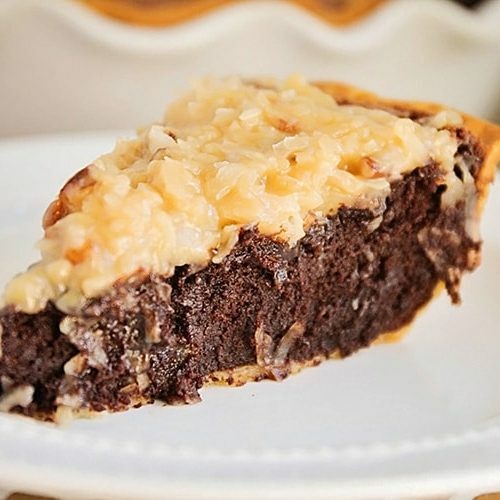 They share their favorite family recipes that will quickly become favorites for your family too! Aimee was a contributor on Somewhat Simple in 2016. Oh my goodness, this is the best popcorn I have ever made! Thanks Amy!